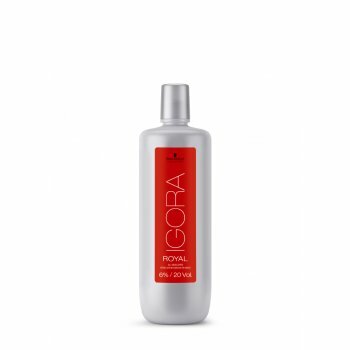 Schwarzkopf Igora Royal Developer is the first cream peroxide to care for hair, containing cationic conditioners that deliver superb shine and leave hair silky to the touch. Here in 6%, 20 Vol, 1 Litre guise. Schwarzkopf have over 100 years in the professional hair and cosmetic industry, providing premium quality products with a name that you can rely on. When you are representing a salon or your own brand, high quality professional products are essential. Schwarzkopf offer exactly that.